“We are spiritual energy/souls, inhabiting a physical body. The Higher Self is always in connection with Highest Source-Love-Light/God/Goddess-Energy or the Universal Consciousness. Most problems, Drama or Karma are just compelled by the illusion or human, artificial concept of being limited. Limitation is predominantly happening through your own restricting behavioural patterns of allowing yourself only thoughts (mind) of limitation and by dogmatic, restrictive concepts or believe-systems, learned and applied repetitively through social conditioning. It is through “The internal science of healing your thoughts” that you can enfold your whole potential. In deed, you are a scientist exploring your own inner universe of consciousness. Realising who you REALLY are. # LOOK UP to your HIGHER Self. Have you ever wondered why some gurus , healers, psycho-therapists, religious concepts or even 12 step-groups seem not to work for you,not bringing the wished results, in the individual and specific way that you want to change your life…? Have you ever thought about the fact that you alone can really be the change you want to see in the world and in your life? Yes you can: You have all the tools, that you need for the desired outcome inside yourself. This book will explain you in the very detail How you can do these changes in your life with the help of pragmatic tools: Your thoughts, feelings, spoken and written words and actions. I love you all and this is the reason why I wrote this book for YOU. This book is about You: Your Success, Love, Consciousness, ascension, manifestation, healing and achieving a truly fulfilled happy and joyful life. 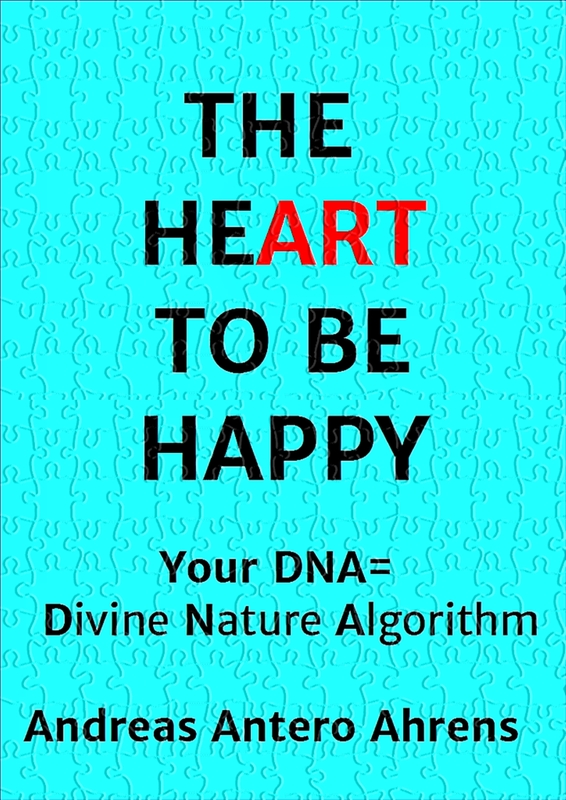 It is about Your DNA = Divine Nature Algorithm and your inner TRUTH = Total Reliable Utility To Heal .It is about your True Self and Self-empowerment, Letting go and conscious choice-making. You are worth it. You are important because by healing yourself you are healing the human collective. Self-help is the merest tip of the iceberg, this is a book with hidden depths, hidden treasures, of deep meanings and understandings. Have you ever wanted a roadmap or manual for the journey of life, well this book is IT. Gives you the master-key to Aladdin’s Cave, for the ease of access to higher perspectives in helping you to find with ease your own inner treasure. Appreciation is a key for inner happiness. You can heal your reality.